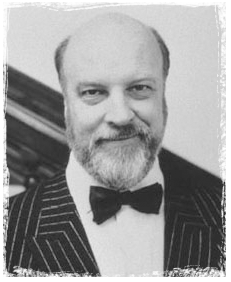 Paul Bartel (1938- 2000) was born in Brooklyn, New York, USA, on August 6, 1938. By the age of 13, Bartel made plans to become an animator and spent a summer working the UPA animation studio in New York. After majoring in theater arts at UCLA, Bartel was awarded a Fulbright scholarship to study cinematography in Rome. During this period, Bartel produced and directed several notable short films such The Secret Cinema (1968) and Naughty Nurse (1969). He was eventually tapped by Gene Corman (Roger Corman's brother) to direct Private Parts, a low-budget horror feature that was released in 1972. Roger Corman later hired Bartel as the second unit director for his crime/exploitation feature Big Bad Mama (1974). In 1978, Bartel would go on to direct Death Race 2000 (1975). This was followed by another road film, Cannonball in 1976. Bartel is most known for his 1982 cult classic, Eating Raoul, which tells the story of a suburban couple who pose as swingers to murder and rob their victims to keep their restaurant in business. One of Bartel's last notable ventures into exploitation was the western/adult comedy Lust in the Dust (1985). In addition to directing, Bartel was also successful as a producer and an actor in both feature films and television. After being diagnosed with liver cancer, Bartel passed on May 13, 2000. This page was last modified on 6 August 2016, at 12:01.